Fast raising and lowering, comfortable Masts for antennas and other payloads (e.g. Floodlights, Cameras, Anemometer, Microphones etc.). These masts are made of concentric sections of anodized aluminium, equipped with a lock against rotation. The top section is terminated with a large flange which allows installation of various payloads. The fucntional principle is the reverse of an air pump for your bicycle: if you put pressurised air into the nozzle of the pump, the handle extends due to the internal pressure. 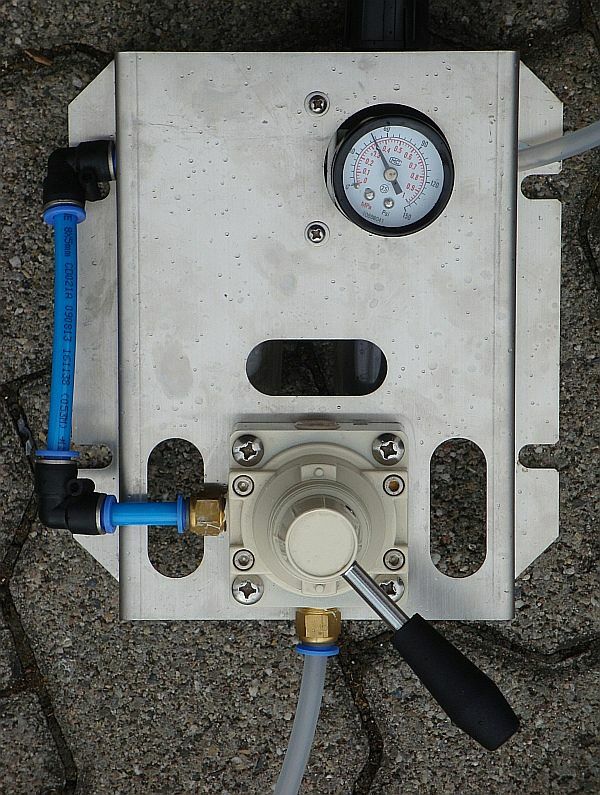 The compressor required to extend the mast is not included in shipment; but you can use any other existing compressor our source of pressurized air as well (e.g. the pressurized air of a truck brake). The mast is operated (extended or lowered) by a three-position valve: Raise/Hold/Lower. For installation on level surfaces the mast comes equipped with a solid tripod. This tripod allows adjustments for slopes with some inclination. This tripod must be fixed to ground, even for masts marked as "self supporting, no guying required". Alternatively mast clamps for installation on a wall or vehicle are available. Static calculations for wind zones 1 and 3 are available for the PMM 10/2.9, see below. 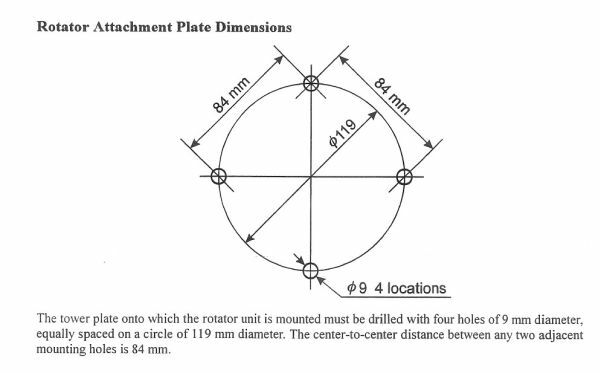 The table details the PMM 10/2.9 apply for free-standing operation, with the mast with the antenna surface and 120km/h calculated approximately 66cm bends. Therefore it is recommended also to guy the mast, and of course the antenna surface can be enlarged when operating with guying wires. When the center of the antenna surface is in the amount of the guying point so that no torque is exerted by the wind, the maximum antenna surface would be theoretically infinite. But please do not overload, because the mast otherwise be bulgy and can break, especially when the bias of the guying wires are to strong. Because the force applied by the guying tension is indeed in relation to the tension angle as a compressive force in the mast! These masts can also be customized for other lengths and paylod weights. Give us a call. The upper flange of the PMM 10/2.9 and PMM 6/2.3 has 4 fastening bores, to mount the YAESU-Rotatores G-450 to G-2800DXC direct.